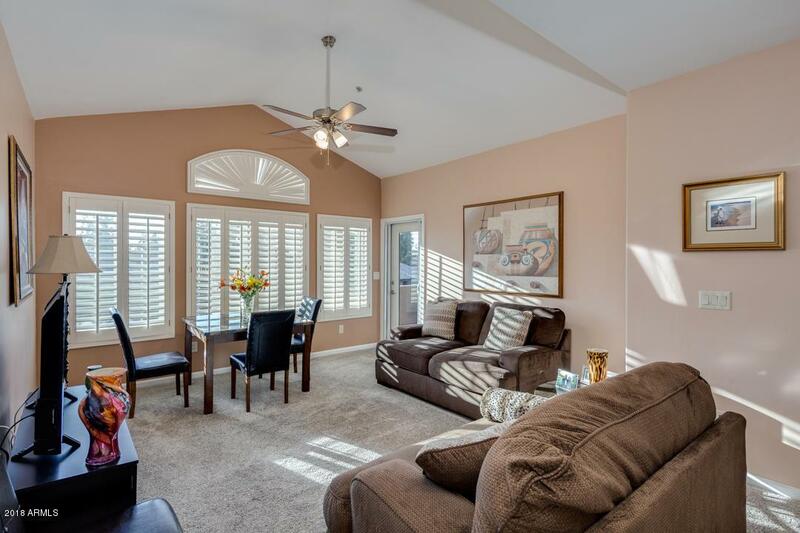 Ride the elevator up to this gorgeous, remodeled condo in beautiful Bella Vista! 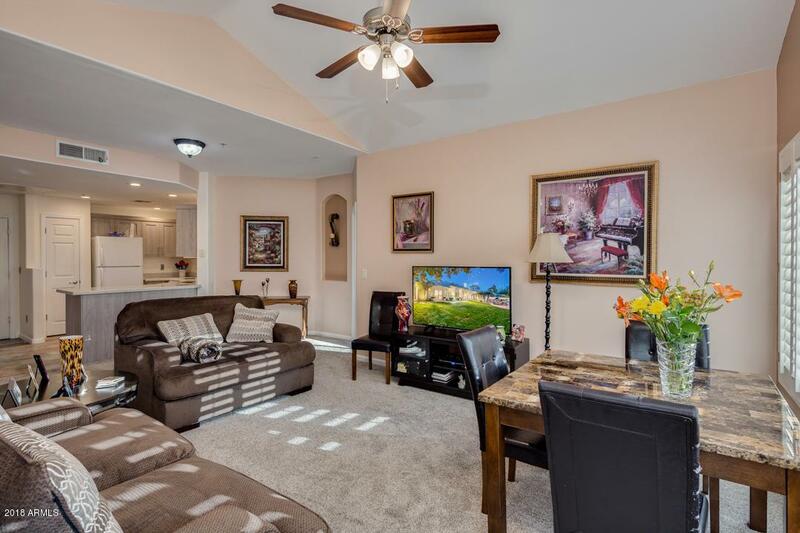 This 2BR with a Den comes with new carpet, tile & paint. 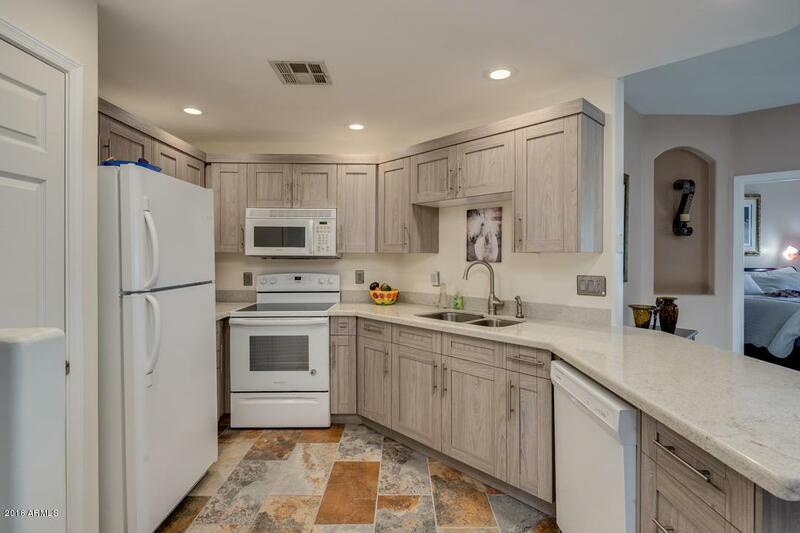 Remodeled kitchen and bathrooms. Peek- a-boo views of Camelback mountain from your patio. Private billiards room just a couple steps from your front door. Underground parking garage, comes with an assigned parking stall. Swim in the pool or exercise in the state-of-the -art workout facility. 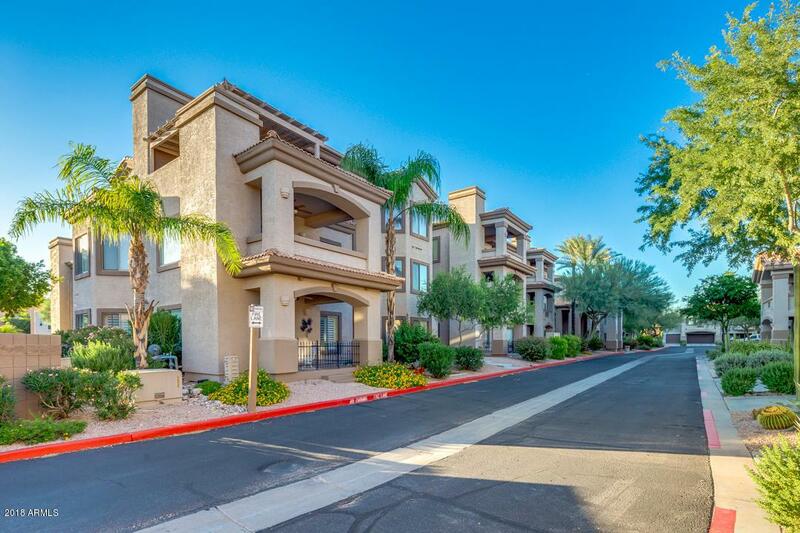 You will love this location in prestigious North Scottsdale, close to restaurants, shopping, hiking trails with easy access to freeways!